This is a live 2 disc set of Akira Ifukube in concert. There are only three (3) tracks on each CD and track #3 on both CD's is made up of Akira Ifukube speaking to the audience. Unfortunately for most of us, he's speaking in Japanese. 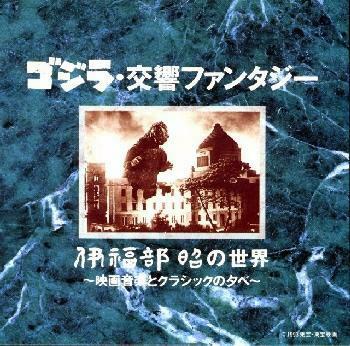 The other 2 tracks on each CD are long suites of music with much of it recognizable to us kaiju fans. There is also quite a bit of music I don't remember ever hearing before. This is a really good two disc live set to listen to. It's a good mixture fast & slow music and the orchestra sounds great.